Restorative justice was the subject of a recent seminar I was fortunate to attend by Dr Kathy Fox, a 2013 Fulbright US Scholar currently based at Victoria University of Wellington. 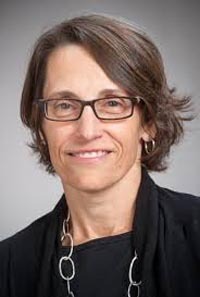 An Associate Professor of Sociology at the University of Vermont, Kathy is researching restorative re-entry of criminal offenders to the community. The invitation to attend this seminar was irresistible and it was good to see Department of Corrections and community stakeholder representatives in the audience. Dr Fox was quick to acknowledge the early uptake of the use of restorative justice practice in New Zealand, one of the reasons why she was keen to further her research here. Since the seminar, I’ve been pleased to learn that the Ministry of Justice received $4.4 million over two years in Budget 2013, announced on 16 May, to extend its restorative justice services. Kathy explained the term “desistance theory” and how it’s applied to change an offender’s identity, focusing on strengths such as learning new skills and other achievements. There are opportunities for successful reintegration, she explained, when communities play their part in providing integrated “circles of support” for prisoners being released from prison. The arts have a role to play in the pathway to reintegration in New Zealand. One thing we know: in our prisons there are opportunities for prisoners to engage with arts activities in various forms. Painting is an obvious form but cultural arts such as kapa haka and carving are also available. We know that behaviour improves, goals are reached, co-operation increases and a more positive self-identity replaces old ideas about themselves. Along with several other valuable programmes (literacy and parenting to name just two), arts activities are effective tools for rebuilding lives – one at a time. I hope you will be interested in a report from our Prison Arts Advisor, Jacqui Moyes, who is assisting Corrections staff to develop a planned approach to prisoner arts delivery. I recently had a conversation with a barrister, who expressed concern about whether there are sufficient safe, supportive and relevant programmes to recommend for offenders on parole. These programmes are a way to help offenders focus on a journey that takes them further and further away from the identity and behaviour that led them to prison. I’d like to see more community arts organisations engaged in providing this. In a planned way, they can help by providing a non-judgmental welcome, a sense of belonging and, of course, a place to make art and be creative. These community art studios can be enlisted to help. Vincents Art Workshop and its current mural project partnership with Arohata Women’s Prison is a fine example of the support the barrister is looking for this. Partnering with organisations such as Vincents that practise a philosophy of inclusion is a sure way to contribute to the Department’s target of reducing re-offending by 25% by 2017. Geraldine Buckley UK storyteller and creative writing specialist has been visiting New Zealand this month. She had already run workshops in Invercargill Prison and we were very fortunate that she agreed to run a further two workshops in the Drug Treatment Unit in Rimutaka Prison, where she generously shared her experience and creative processes with staff and prisoners. In the Department’s 2011 survey on arts delivery of prisons, several indicated they would like to include creative writing and storytelling in their programmes. You can read more about Geraldine here. We will follow up with an interview with Geraldine for next month’s Prison Art New Zealand. 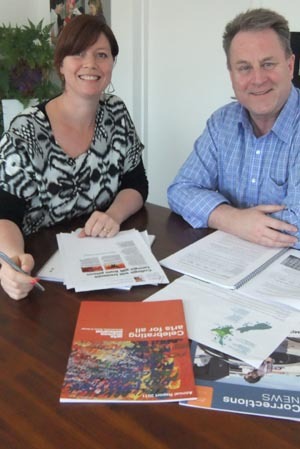 You can also find out more about Fulbright New Zealand’s exchange and research opportunities. Original generation time 2.0162 seconds. Cache Loaded in: 0.0392 seconds.